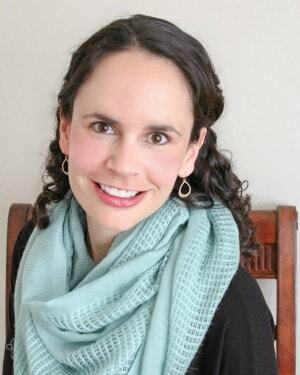 Here’s a riddle for you: what happens on the second Wednesday of each month and makes you feel ecstatic to be a reader of this blog? 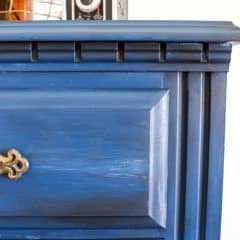 Answer: The Monthly DIY Challenge! (I knew you’d get it right!) 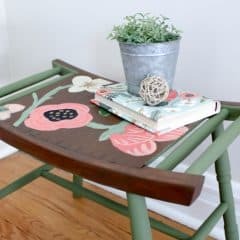 For those of you who didn’t know the answer to my riddle, The Monthly DIY Challenge is when a group of my best blogger friends and I team up to create projects that revolve around a common item or theme. 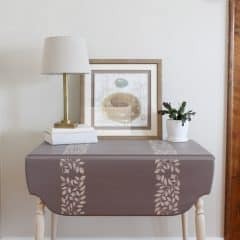 In the past we’ve done things like metallic paint and air dry clay, and this month we were excited to create amazing decoupage products with Mod Podge that Plaid Enterprises gave us! Plus, Plaid has graciously sponsored a giveaway for a $50 gift card to spend at Plaid and a product package valued at $100! You’ll find the entry info at the bottom of this post! Here’s a sneak peek of what we all created for this challenge, and you’ll find direct links to all of the projects at the bottom of this post! 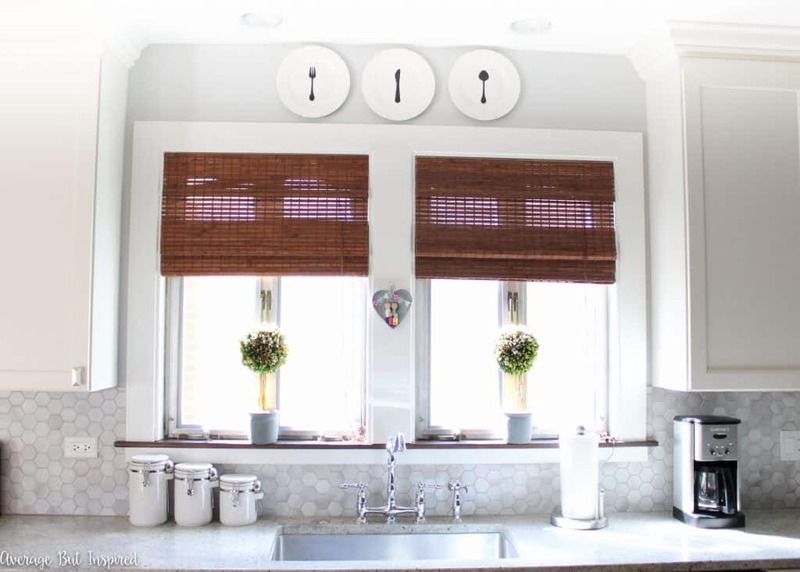 But before you go visit my friends’ blogs to see what they made with Mod Podge, let me show you how I turned plain dollar store plates into adorable wall art for my kitchen! Some of the links included here are affiliate links, which means that I earn a small commission at no added cost to you if you purchase through them. To read my full disclosure policy, please click here. 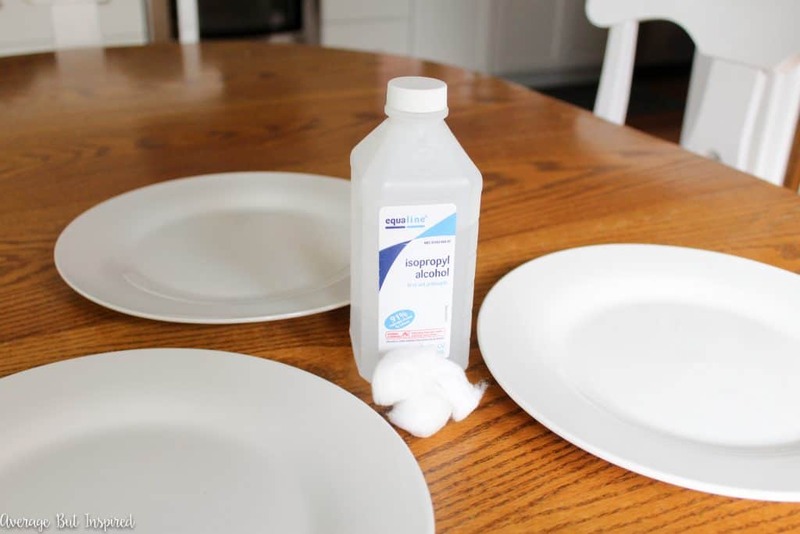 First, it’s important to prepare the plates for the Mod Podge, so you’ll need to wipe them off with rubbing alcohol. 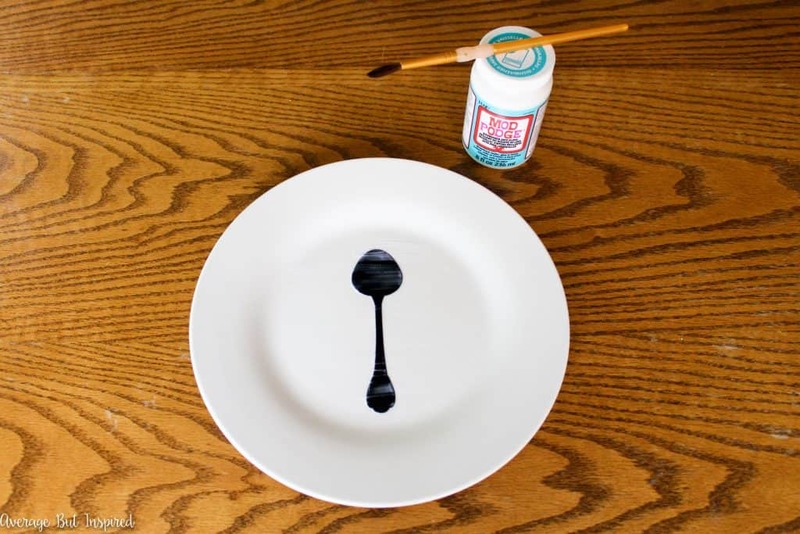 Next, use the Silhouette machine to cut out a fork, knife, and spoon onto black cardstock. If you don’t have a Silhouette machine (or other cutting machine), you can still do this project! 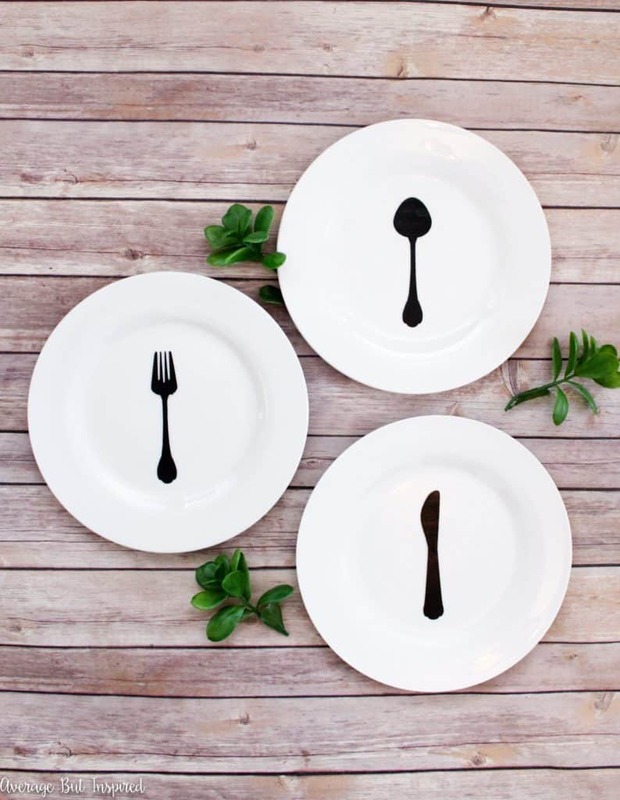 All you need to do is find utensils clip art on Google, print it out in the size you need for your plates, cut out the shapes and trace them onto the black cardstock, and then cut them out. Easy! 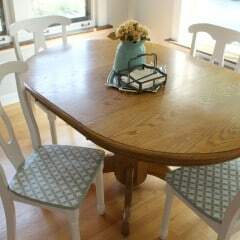 Once your shapes are cut, apply a thin layer of Mod Podge Dishwasher Safe Waterproof Sealer to the middle of each plate. 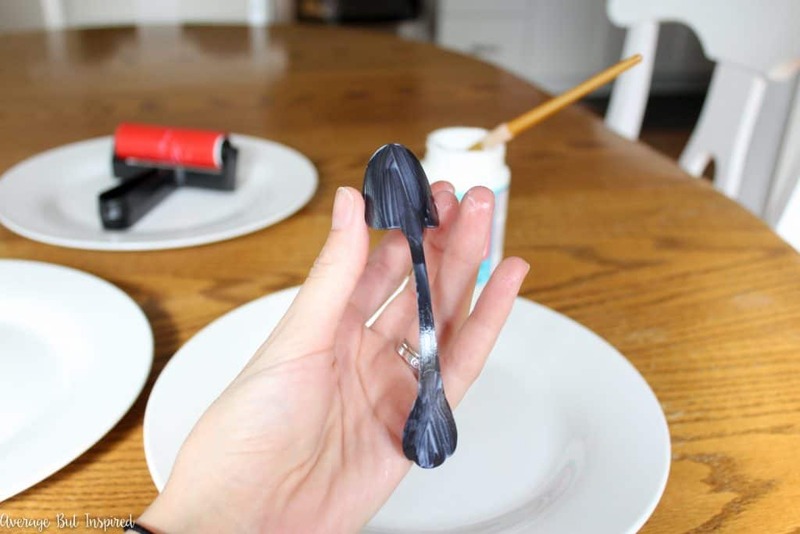 Then, apply a thin layer of Mod Podge Dishwasher Safe Waterproof Sealer to the back of each utensil cutout. Once the base layer of Mod Podge Dishwasher Safe Waterproof Sealer has dried, apply a layer to the faces of each of the plates. Repeat per the instructions on the label. 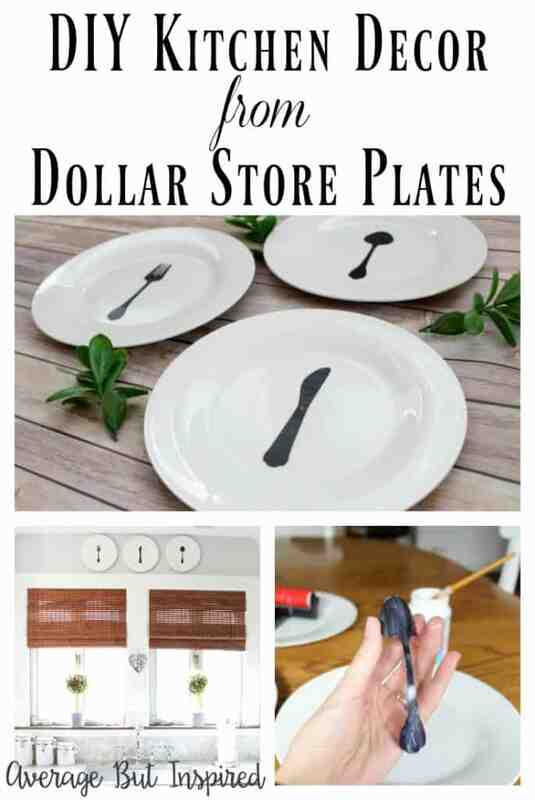 After the plates have dried, you will be ready to display your dollar store plates as decor in your home! If you enjoyed this project, I’d love for you to “pin” this post before you go check out my friends’ projects! 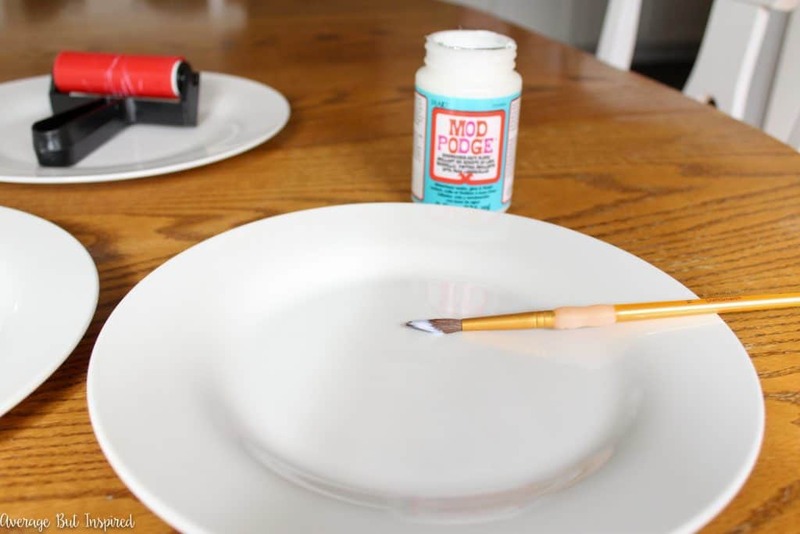 Now make sure to go see what else you can make with Mod Podge! Don’t forget to enter to win a $50 gift card to spend at Plaid and a prize pack valued at $100! Please see the Rafflecopter for complete terms and conditions! SO creative Bre!!! 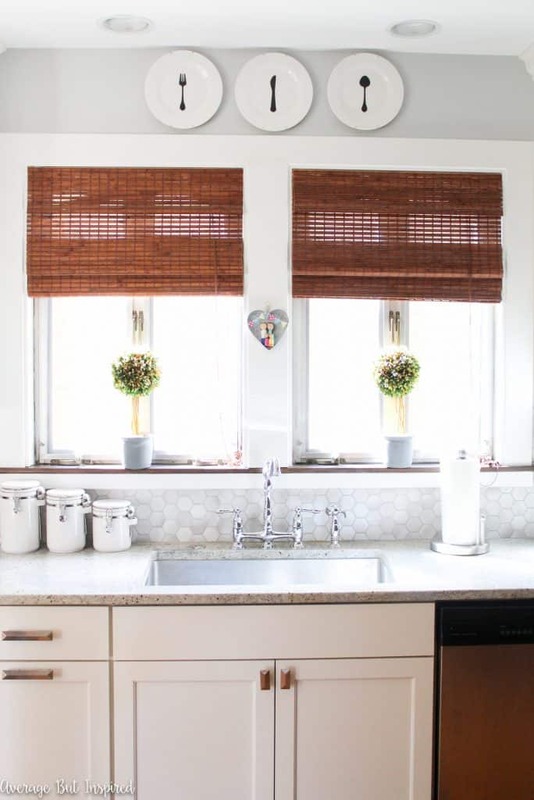 They look adorable in your kitchen! These are really pretty, Bre! I love easy, inexpensive DIY wall art. Bre these are so simple and amazing! Love! This is going on my craft inspiration board… like beyond Pinterest… the white board in my craft room…as a MUST do! 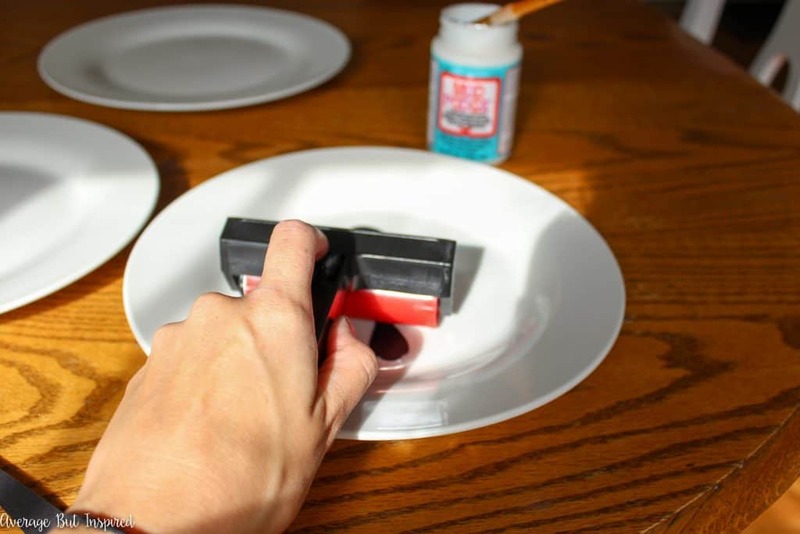 I had used my brayer for stamps, but never thought to use it for decoupage before… Fabulous! 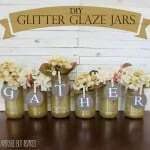 Very cute and it certainly seems like a very easy project! Thanks for sharing. So cute! I love Dollar Store projects!!! I love the plates! Great job! I need to get to work on my powder room. Would finish up my end tables! I like the simplicity of these. 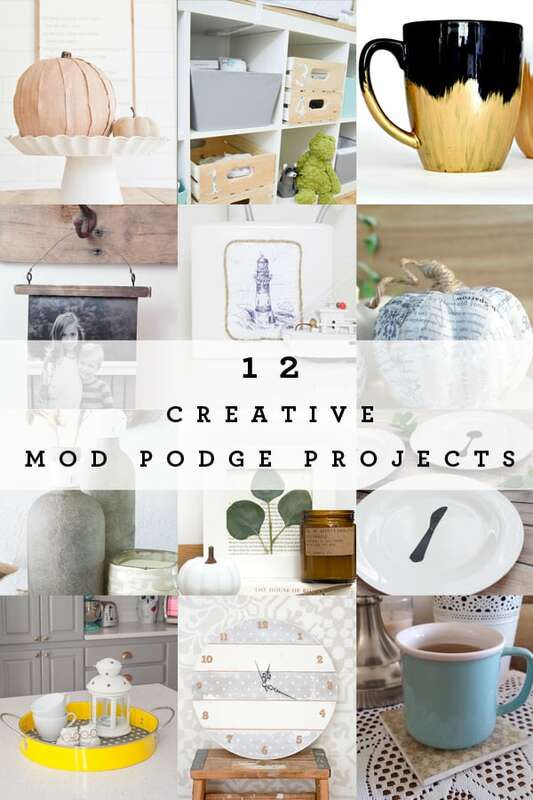 So many fun things to do with mod podge, and a great giveaway too! 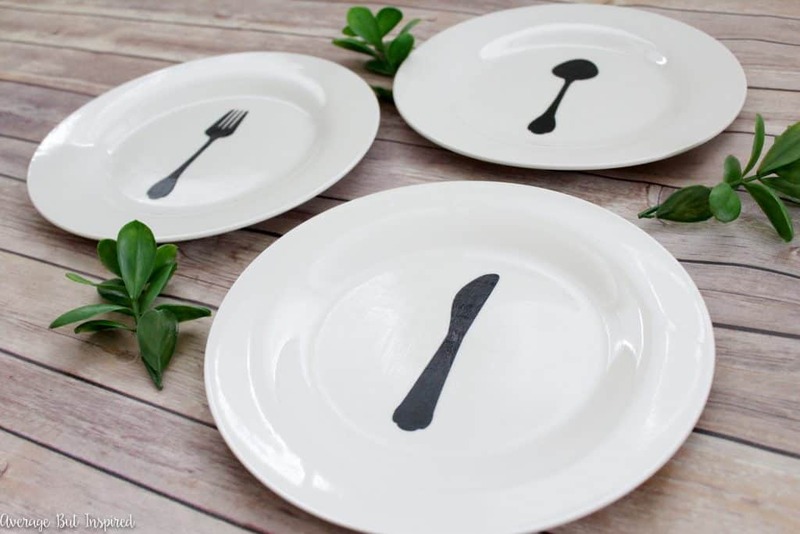 Love this idea, the plates make for a great decoration. This is seriously THE cutest idea to put above a kitchen window! Love it! Is there a way to make these and be able to eat off of them?